In a Nutshell: Earning cash back and other travel rewards are widely considered to be some of the great perks of credit cards. Now travelers can boost their rewards by booking a stay at one of 650 boutique hotels in The Guestbook hotel rewards network. Users simply book their hotel directly through the hotel website or through The Guestbook website and earn either 5% cash back, 5% toward charity, or 15% in Trip Cash. Trip Cash rewards are applied to a future stay at one of The Guestbook partner hotels. The company maintains the largest network (and growing) of independent hotels in the world and adds more value than ever to its partners. As a child, I remember family road trips where we would drive for what seemed like an eternity (“Are we there yet?”) before reaching our destination. And, whether we were going to be spending our vacation on a sunny, sandy beach or visiting some distant aunt who smelled like a perfume factory accident, chances were, once we arrived, we would be greeted by a big, bland chain hotel. Those big chain hotels were the norm for a long time in the U.S. Over the years, online booking agencies, chain hotels, and credit card companies got hip to Americans’ increasing penchant for travel and built up some pretty nice travel rewards programs. The Guestbook partners with independent and boutique hotels to offer rewards for travelers. In more recent years, boutique hotels — a trend I’m happy to see — have gained prominence as travelers have come to appreciate the character of not only the place they are visiting but of the place where they will be sleeping as well. But these hotels often don’t have the budget to promote big loyalty or rewards programs. That’s where The Guestbook comes in. The company was founded in 2013 after The Guestbook Founder and CEO James Gancos left his 10-year career at Starwood Hotels. That realization led to Gancos’ idea to build rewards programs for independent hotels based on a cash back model. He resigned from Starwood and dove head first into The Guestbook. For travelers interested in taking advantage of The Guestbook’s benefits, getting signed up is a fast and easy process. Gancos said users can visit The Guestbook’s website to zero in on the hotels — out of its 650-member network — where they might be interested in staying. The Guestbook also partners with a significant number of independent hotels throughout Africa and in Southeast Asia. The Guestbook’s website features an interactive map where users can explore its 650-member network of hotels. Some users have asked if they signed up correctly because it is so simple, he said. “We don’t even need a physical address unless you redeem a gift card that we need to mail to you at some point down the line,” he said. Gancos said most users don’t typically find The Guestbook’s services through its website but more often discover the company while they are booking their hotel. But, once they become a Guestbook member, they visit the site to find hotels and learn more about rewards. Gancos said one of the nice things about the program is that once a user enrolls, The Guestbook captures the reservation and automatically applies it toward your Guestbook rewards. Users don’t have to worry about going to The Guestbook’s page to log their reservations. Users of The Guestbook can redeem their rewards in a variety of ways, Gancos said. First — and most popular — is 5% cash back. He said that, as The Guestbook has continued to add hotels to its network over the past five years, it has also enhanced the benefits. Now, The Guestbook users have a charity option through partner organization GlobalGiving that allows them to apply their cash back amount to a charity of their choice. He said as the network continued to grow, The Guestbook added a benefit called Trip Cash which is applied to future hotel stays. By the end of 2018, Trip Cash was worth the equivalent of 10% cash back, but starting this year the company upped the amount to the equivalent of triple cash back. “Let’s say you spend $1,000. You get $50 cash back any way you choose, or if you select Trip Cash, you get $150 towards another hotel in the future,” Gancos said. The company analyzed the reward offerings from many of the big-name hotels and discovered The Guestbook’s rewards programs give travelers better value across the board. Gancos said users can use the comparison tool on the company’s website to get a sense of how much more they are getting in rewards for each category. Gancos said his favorite reward offering is Trip Cash because it goes a long way toward a customer’s next hotel stay, but he’s not surprised that the cash back option remains the most popular. “People love that instant gratification of the cash back rewards,” he said. Gancos also pointed out that travelers still earn their own travel rewards on top of The Guestbook’s rewards when they book with their rewards credit cards. Since online booking services that aggregate prices and availability have become so readily available in the digital age, many travelers’ tend to look to those places first when booking hotels. Additionally, the big name hotels have robust websites with their own rewards programs and booking incentives to encourage loyalty among customers. By partnering with The Guestbook, independent hotels can offer rewards that provide value and help them compete with the big chains. He said that, by having a loyalty program, boutique hotels can more easily compete with the big booking sites as well as the larger hotels with in-house loyalty programs. “Our value proposition is that people will be more likely to book their stay directly through the hotel’s site versus online booking agencies because with us they can actually offer more value,” Gancos said. 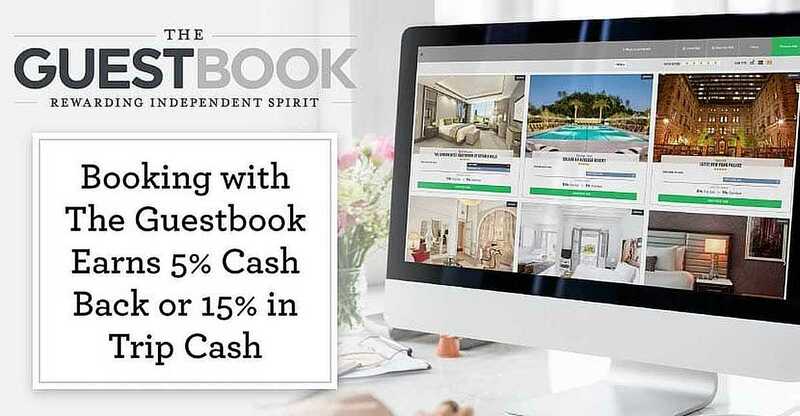 The boutique hotels don’t necessarily have to offer lower rates than the big name booking sites because they can still offer an overall better value due to The Guestbook’s reward program. Gancos said that, in the past five to seven years, people have begun to gravitate more toward the unique experiences that boutique hotels have to offer, which also helps inspire loyalty to independent hotels. 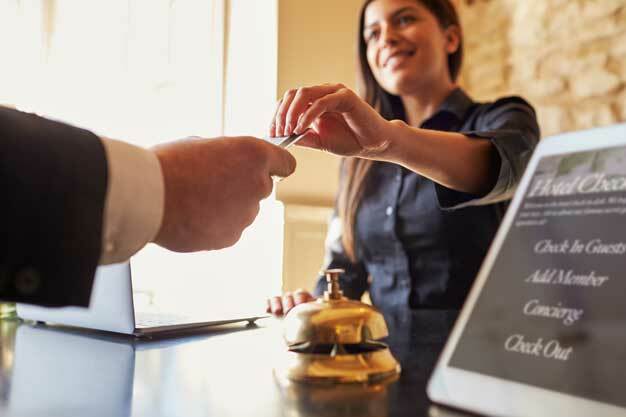 Gancos said The Guestbook has primarily built its network by taking its value proposition directly to the hotels and explaining how the two companies can work together to build loyalty among customers. 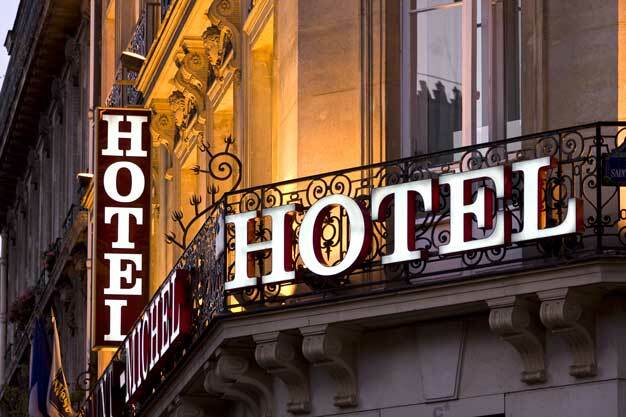 But, as the network has grown — Gancos said in 2018 The Guestbook took the top spot for the largest network of independent hotels — the company is approached more and more by hotels looking to offer The Guestbook rewards. “When we started we never promised that we would increase bookings because we had to get to scale, but in the past year the cross-network traffic has really blown up, and we can actually guarantee that, as a partner, we’ll help bring in more business,” he said. Gancos said his company also recently launched Gopher, an internet browser extension that searches on the customer’s behalf for better rates than online booking agencies offer.